This post was originally published on Hello Jackson on March 27, 2014. Whenever my friends are throwing around the idea of going out for sushi, one restaurant always comes up: Asia Garden. Asia Garden, opened in 1985 by Kathy and Kopang Yeh along with several family members, is a staple in Jackson. They started out serving a Chinese menu and recently expanded to serve Japanese items, including sushi. They have quickly become a local favorite for sushi, and they will even do a sushi platter for larger groups! In addition to standard dine-in and carry-out options, they also offer delivery and are one of the only Chinese restaurants in town that isn’t a buffet. 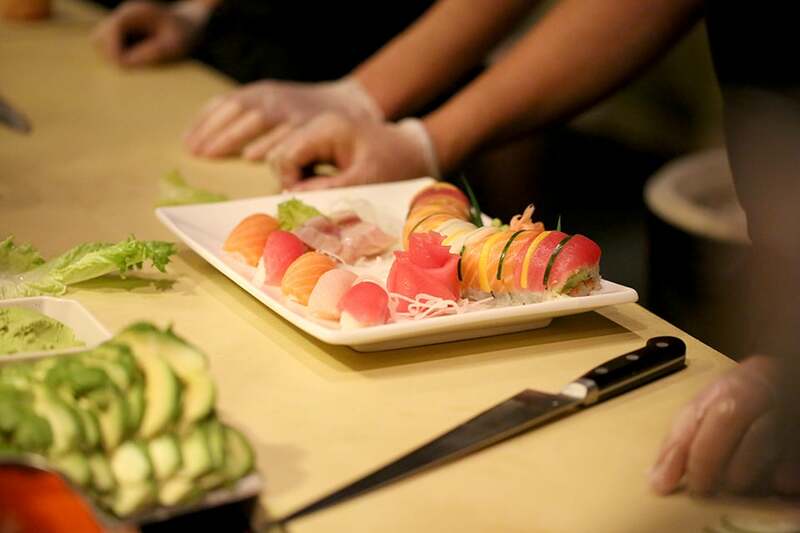 Their most popular sushi rolls are the Chef, House, and Mexico. Asia Garden is one of Jackson’s most established local restaurants with an almost thirty-year history. In 2005 they went through a pretty significant remodel, which made the restaurant much more modern. The business was purchased about eight years ago by the Yeh’s son Eddie, who returned to Jackson after playing college football at Sewanee University. Eddie says he always knew he would come back to Jackson. I love that the business has stayed in the same family through the years! Since Asia Garden has been around so long, they have become a big part of people’s lives in the community. Eddie Yeh says, “It’s fun being a part of a community and watching families grow. Food is a huge part of the Asian culture and is the way that we take care of each other. We hope we have been able to do this in Jackson.” One way that they take care of the community is by hosting the West Tennessee Adoptive Families Group to celebrate each Chinese New Year. For many of the families that attend, it is the one time a year that they see each other. This is just one of the many ways that Asia Garden has influenced the Jackson community, and I am certainly glad to see a business with such a great history still thriving. Asia Garden is located at 660 Carriage House Drive. Hours of operation are Sunday through Thursday 11:00 a.m. to 9:00 p.m., Friday and Saturday 11:00 a.m. to 10:00 p.m.. To learn more, visit their website.